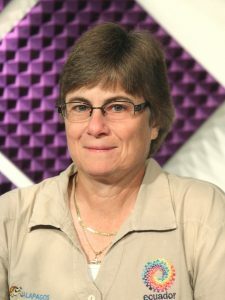 The Acellus AP Biology course is taught by Marcia Umscheid. It is recommended that students complete Honors Biology and Honors Chemistry prior to taking AP Biology. Acellus AP Biology has been audited and approved by the College Board. Acellus AP Biology is A-G Approved through the University of California. Unit 1 - Evolution Drives the Diversity and Unity of Life In this unit, students are introduced to the AP Biology Course. They discuss the nature of science, evidence for evolution, and natural selection -- descent with modification. They also discuss the Hardy - Weinberg Theorem, as well as Hardy - Weinberg Equilibrium. They learn about biological evolution, phylogeny (evolutionary history), and the modern synthesis theory of evolution. Unit 2 - Water Potential In this unit students learn about abiogenesis, properties of water, organic molecules, and the origin of cells. They study endosymbiosis, characteristics of life, cell membranes and structure, selective permeability, diffusion and cell size, and water potential and the concentration gradient. The lab for this unit is on water potential. Unit 3 - Cell Structure In this unit students learn about basic cell structure. They explore prokaryotes, eukaryotes, mitochondria and chloroplasts, cytoskeleton, and metabolism. Students also gain understanding of enzyme structure and function, denaturation, enzyme catalyzed EA, and enzyme kinetics. The labs in this unit are on calorimetry and fingertipase-enzyme catalysis. Unit 4 - Cellular Respiration In this unit students gain understanding of respiration. They begin with an overview of photosynthesis, and continue with glycolysis, anaerobic respiration, and redox reactions. They study an overview of aerobic respiration, and go on to explore glycolysis in depth, as well as the citric acid cycle and oxidative phosphorylation. The lab demo in this unit is on cellular respiration. Unit 5 - Pigments and Photosynthesis In this unit students begin with an overview of photosynthesis, and go on to study plant pigments. The lab demo in this unit is on plant pigments and photosynthesis. Students explore light reactions, photosystems, photophosphorylation, and carbon fixation (or calvin cycle). They put these concepts together to understand the photosynthesis and respiration system, then study feedback mechanisms and cell communication. Unit 6 - The Cell Cycle In this unit students study the cell cycle. 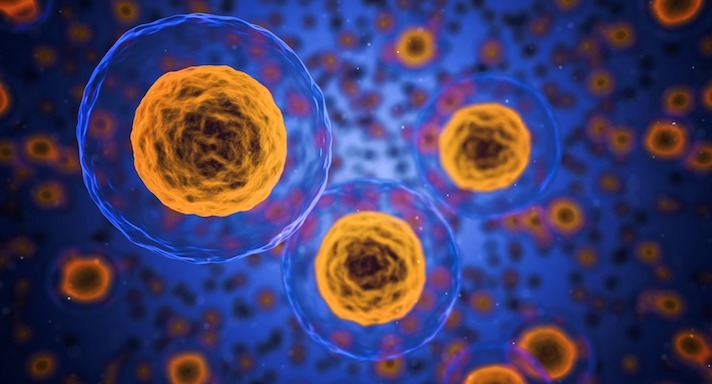 They consider why cells divide and learn about the origin of the cell cycle, chromosome structure, and phases of the cycle. Three parts of a five-part lab on cell division are presented in this unit. Students go on to investigate variances in the cell cycle, control of the cell cycle, and an uncontrolled cell cycle. Unit 7 - Mitosis and Meiosis In this unit students study the two types of cell reproduction, mitosis and meiosis. They have an overview of meiosis and learn about the phases of meiosis, as well as meiosis and genetic variation, and meiosis and gamete formation. The last two parts of the lab on cell division are presented in this unit. Unit 8 - History of Genetics In this unit students are first introduced to the history of genetics, and then go on to study the Mendelian theory of inheritance, including a demonstration. They learn about the Punnett square, including monohybrid and dihybrid crosses. They explore the law of probability and practice with probability. Unit 9 - Human Genetics In this unit students learn the exceptions to Mendel's rules. They study human genetics and learn about and practice pedigrees, and learn about karyotypes in human genetics, and practice with karyotypes. Unit 10 - Chromosomal Alterations In this unit students learn about diagramming nondisjunction and about the chromosomal theory of inheritance. This unit includes three labs on genetics, and students explore gene mapping, mutations, and more chromosomal alterations. Unit 11 - DNA In this unit, students learn about DNA. They discuss the race for the double helix, the structure of DNA, DNA replication, and priming DNA replication. They explore the central dogma of biology, and study how scientists are cracking the genetic code. Unit 12 - Genes In this unit, students study genes. They learn how information is transferred from nucleus to cytoplasm. They come to understand tRNA and rRNA, gene anatomy, the steps of transcription, RNA processing, the steps of translation, operons - gene expression in prokaryotes, control of gene expression in eukaryotes, and biotechnology. The lab in this unit is on biotechnology. Unit 13 - Viruses and Bacteria In this unit, students study viruses and bacteria. They learn about biodiversity, and the taxonomy of biodiversity. They discuss the classification, evolution, and genetics of viruses and of bacteria. The lab in this unit is on bacterial transformation. Unit 14 - Classifications In this unit students investigate the classification of protista, fungi, and plantae. They learn about the anatomy of a plant and plant responses to stimuli. The lab in this unit is on transpiration. Unit 15 - Animalia In this unit students explore the kingdom of Animalia. They learn about classification, divisions, and development of Animalia. They study the nervous system, the immune system, and the endocrine system. They investigate animal response to stimuli and learned behaviors. The lab in this unit is on fruit fly behavior. Unit 16 - Ecosystems In this unit students study ecosystems. They learn about biological hierarchy, abiotic and biotic factors, and energy flow in ecosystems. Three labs in this unit are on energy dynamics, including two alternatives. Students explore biogeochemical cycles, earth's terrestrial biomes, earth's aquatic biomes, and ecological succession. Unit 17 - Population Growth and Interaction In this unit students study population growth and interaction. They learn about species interaction. They explore population dynamics, and they discuss growth strategies.